You probably have a bank account. It is a legal contract between you and the bank. What you and the bank both can and must do is in the deposit agreement you signed when you opened the account. The information in the contract is very important, especially with joint accounts. Many people are shocked to discover they owe inheritance tax on money they put into a joint account with someone else who dies. Others are upset when they learn that one son or daughter whose name is on the account has no legal duty to share the money with other family members or even to use it to pay funeral bills. Each of these accounts can have a "power of attorney" added to it. Who owns money in the account? Who can get money out of the account? What happens to the money in the account when an owner dies? What are the Maryland estate tax rules if an owner dies? An individual account has one named owner who owns 100% of the money in the account. The money belongs to the named owner for life. Only the owner can get money out of the account. What if the Owner Dies? When the owner of an individual account dies, the money in the account goes to the owner's beneficiaries. Beneficiaries are the persons or organizations named in the will. If there is no will, beneficiaries are decided by the intestate law. This law says what happens to a person's assets (what is owned by the deceased person) if that person didn't write a will. The money in an individual bank account when the owner dies is included in the total assets and is distributed to that person's heirs according to the list in the intestate law. An estate tax is a tax imposed on the transfer of property in a decedent's estate. Under federal law, when the owner dies all the money in an individual account is subject to federal estate taxes if the owner died with assets of over $5,600,000. Under Maryland law, an estate with a gross value of more than $4 million may owe the Maryland estate tax. Maryland estate tax is generally equal to the maximum State Death Tax Credit allowed on the federal estate tax return, less any inheritance tax paid. Therefore, if no federal estate tax return is due, or if no state death tax credit is allowed on the federal return, no Maryland estate tax is due. 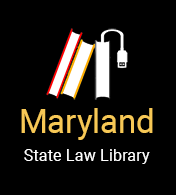 Maryland inheritance taxes (imposed on the value of property that passes from the decedent to some beneficiaries) would still have to be paid. Although most wills include a provision that estate taxes are to be paid out of the estate, prior to distribution to the beneficiaries, this could result in an inequitable result, as the beneficiaries would also be paying estate taxes on assets which pass outside of the will, possibly to other parties. You should consult with an attorney about the inclusion of such a provision in your will. A joint account has more than one named owner. Under Maryland law, money put into a joint account belongs to each of the joint owners equally, meaning that each can use the money in the account as long as the account agreement with the bank says so. Unless the account agreement says otherwise, any joint owner can take funds from the joint account without the signature of the other owner(s). Usually, the title of this account would be, for example, Jack or Jill. You can set up a joint account so that more than one owner must sign to withdraw money. Such accounts would usually say Jack and Jill. You must include any use limits (restrictions) in the account agreement when you set it up. The words and or or do not always show who is using the money. If the account says or, Jack can take all of the money in the account and use it for himself. Jill can sue Jack for her share. But Jill cannot sue the bank because the account has no use limits. What if a Joint Owner Dies? When a joint owner of an account dies, the deceased owner's share goes to the surviving joint owner. If more than one joint owner survives, the deceased owner's share goes to the survivors in equal shares. This is true no matter how much the surviving owners put into the account or whether access to the account is limited. The share goes directly to the surviving owner(s). It does not go through the estate. No creditors or heirs can claim it. This is true even if the deceased joint owner's will says otherwise. Only a written agreement made by the joint owners when the account was started can change this. If the owners made this kind of agreement, the deceased joint owner's share goes to the estate. It would then go to the heirs, not to the surviving joint owners. If the joint owner's estate is worth $5,600,000 or more, the estate may have to pay federal estate taxes. If you and your spouse were the only joint owners of the bank account, then 50% of the money is taxed. If there were other joint owners (besides you and your spouse) the rules are different. If the joint owners got the money as a gift or inherited it, then each joint owner is considered to have equal shares in the account. That person's share is taxed. For example, if there were three owners, then 1/3 of the money is subject to estate tax. If the money originally belonged to one of the joint owners but he or she put it in the joint account, then all the money is taxed unless the state can prove that the estate contributed some of it. If the estate can prove that, then the money contributed is not taxed. Maryland estate tax is generally equal to the maximum State Death Tax Credit allowed on the federal estate tax return, less any inheritance tax paid. Therefore, if no federal estate tax return is due, or if no state death tax credit is allowed on the federal return, no Maryland estate tax is due. Maryland inheritance taxes would still have to be paid. A trust account can be a sole or joint account. But the account agreement says that when the sole owner or last joint owner dies, the bank pays the balance in the account to a named "death beneficiary." These accounts are often called Totten trusts or POD (pay on death) accounts. While the named owner of a trust account is alive, the naming of a death beneficiary does not change who owns the money in the account. The owner does. The owner does not need to keep any money in the account. The beneficiary has no rights until the owner dies. Only the owner(s) can use it. When the sole or last surviving joint owner dies, any money in the account is paid directly to the death beneficiary. This money does not become part of the estate. Creditors of the estate cannot reach these funds. If the account is jointly owned, the surviving owner(s) gets the money just as in the ordinary joint account discussed above. The beneficiary gets nothing until the last joint owner dies. When the owner dies, all the money in the account is subject to federal estate tax and Maryland estate tax equal to the maximum State Death Tax Credit allowed on the federal estate tax return, less any inheritance tax paid. If there are two owners, the estate must show the surviving owner's contributions to the account in order to prevent the contributions from being taxed. You can give another person the right to withdraw money from your account without giving the person an ownership right in the account. You might do this so that someone you trust can pay your bills if something happens to you. The person you name is called your attorney-in-fact. The attorney-in-fact does not have to be a lawyer. Attorneys-in-fact do not own the account in any way. Attorneys-in-fact use the account for the owner's best interest while the owner lives. Attorneys-in-fact may not use the money for their own purposes. They can be personally liable to the owner for losses they cause. An attorney-in-fact agreement can be ended at any time for any reason by giving the person notice that the power is ended. It is best to also tell the bank. Attorneys-in-fact have no right of any kind to money in the account. Their access to the money ends with the death of the sole owner or last joint owner. They must turn over any remaining money to the personal representative or beneficiary owner when the owner dies. All the money in the account is subject to federal estate tax and Maryland estate tax, just as if there were no power-of-attorney. In general, spouses should keep joint accounts. This lets both spouses use the account. When one dies, the other gets the balance without having to wait. Joint accounts with non-spouses can be a problem, especially for the joint owner who has put all, or most, of the money into the account. Widowed older people often set up joint accounts with one of their children. They want the child to use the account in case they themselves get ill. They may also want to lower the estate tax for their children. But giving full access to the other joint owner means you lose control over the money. This is because the other owner can make withdrawals without your permission. You must decide if saving some estate tax for others is worth any risks and problems for you. You can make your account a trust account by naming a beneficiary. Some banks will allow more than one beneficiary. You can also name an attorney-in-fact. When you die, the P.O.D. account goes to the beneficiary without going through the estate. This avoids some legal costs. Everyone has different needs and wants. Get advice for you own situation. This is not an estate planning guide. It is only to tell you some things to look at when setting up a bank account. From the Comptroller of Maryland.